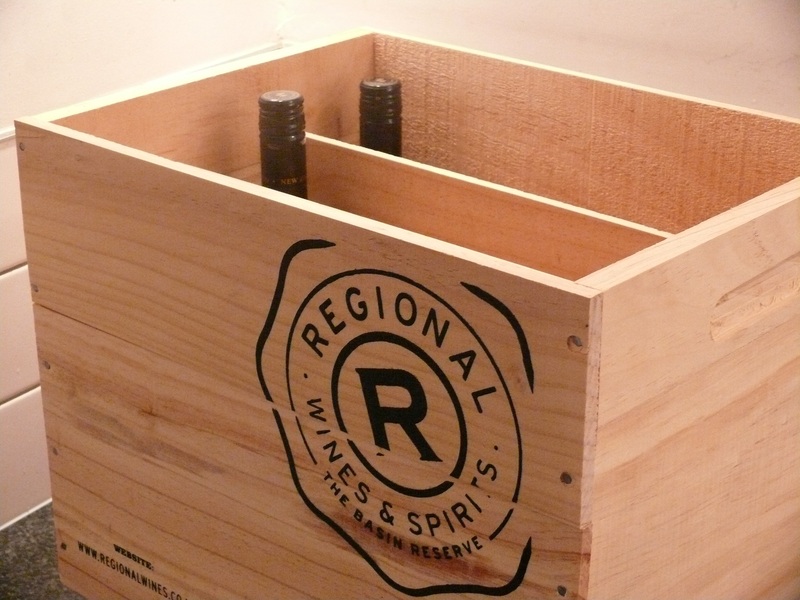 This is from one of New Zealand’s reference Syrah producers. Their La Collina Syrah is lauded, but like Trinity Hills Homage and Missions Huchet, out of my price range. This is the first wine of theirs I have tried – I bought it for the Pool Room on reputation alone. Deep deep scarlet colour, tending brick. At first it was closed and somewhat dumb on the nose, a fail mark against my presentation. Then after a short time it showed soft and fragrant , and built on, with vanilla and dark berries. A beguiling savoury secondary bouquet emerged. A tickle of pepper. Lovely to inhale. With some standing, it tasted soft & supple, with Rhone characters. Ripe fruit, and restrained. Fine tannins, a hint of green stalk, but that is not a negative here – it adds to grace. Strong white pepper on the finish. Long and involving, this is a terrific, terrific wine, and worth careful consideration. 97 points. Tasted instore. This wine is from Dr Forrest’s premium collection. Single vineyard site on the Gimblett Gravels in Hawkes Bay. Hand harvested. Aged before release. Deep carmine colour, 13.5% alc. A gorgeous nose – a rich bouquet, floral with dark boysenberry and plum fruit, black pepper, some oak and vanilla. Simply superb. 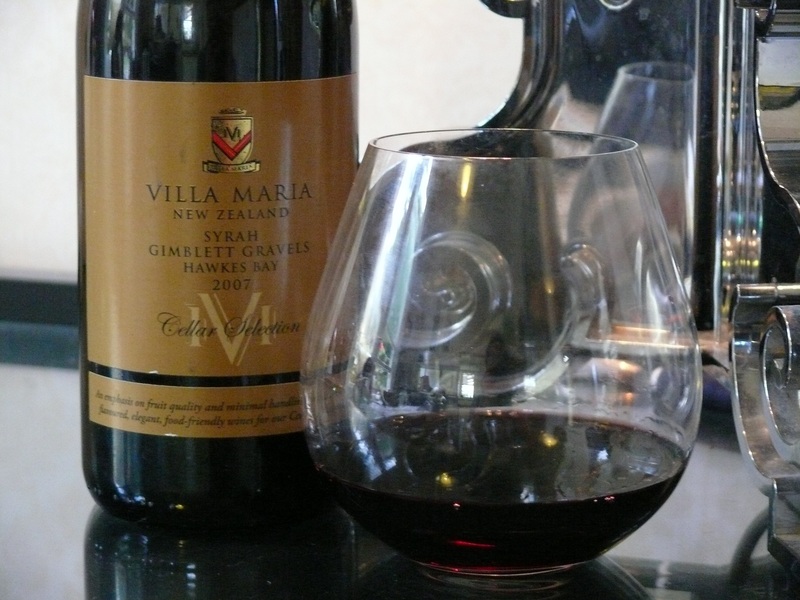 Villa Maria CS Syrah Hawkes Bay 2014 – $$. From the vineyard of my mate GW, as seen at his ‘release tasting’ last weekend. The wine was made by Tim Turvey at Clearview. Bright deep scarlet colour. Cut with 15% Merlot. Soft and with bright floral notes. Less spice and depth and pepper than the ‘14. Needs another year or two to integrate and show the style better. As for the ’14, it is well on the way. Needs two years more to open out and become lusher. Both too soon to rate appreciably. This was a remarkable wine to retrieve from the Pool Room. The huge hit of vanilla on the nose was unlike anything I had smelled before. Hot at 14%. Dark bricking carmine in colour. Continuing, the nose showed sweet and soft and strong, with powerful vanilla notes and licorice. Very sweet to taste also, almost cloying. Sitting and savouring this wine in the evening dusk of my backyard, the ripe flavours drew all manner of small flies and midges to my glass. I had to retreat inside. Strong vanilla notes flowed through on palate, and was almost off-putting. Soft tannins. An odd and unique wine. I went back to it two days later. The vanilla had backed off a little, and some of the underlying structure was showing through. The flavours were full, and there was no sign of oxidation or metallic standing taint. An impressive and powerful wine. I’m not gonna let the vagaries of my cellar affect this wine. It’s getting necked in ’18. One of best Syrah’s of that year, according to Cuisine Magazine in 2009. I started my cellar collection then, and based my first four purchases on their recommendations. This is bottle No. 2 in my Little Red Cellar Book. This wine is inky carmine in colour. 14 %. Gorgeous bouquet of soft ripe red fruits, voilets, lots of vanilla and fresh baking notes. I could sniff this all day. 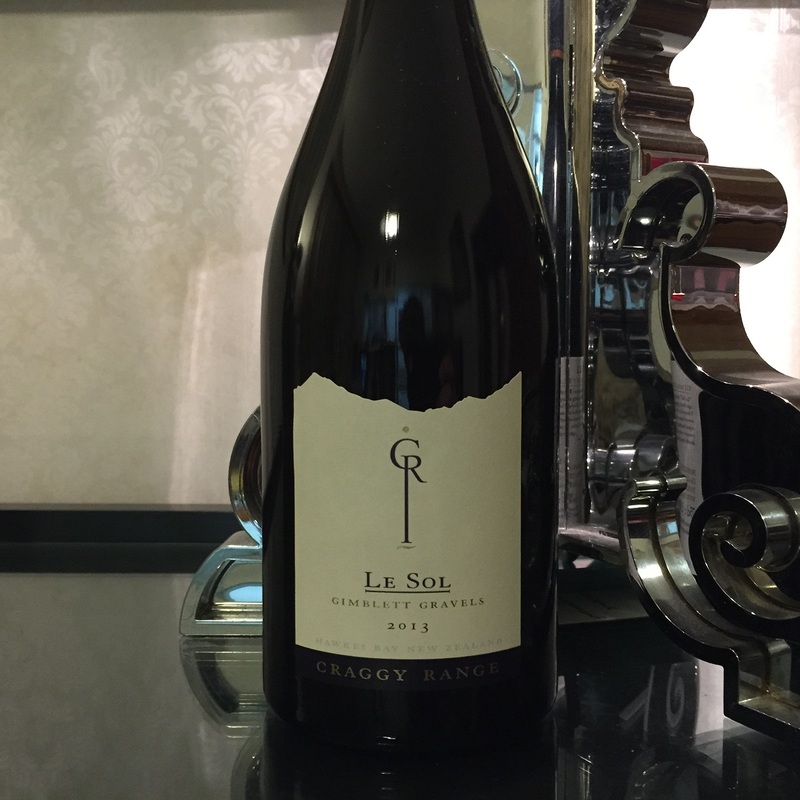 In the mouth it is smooth and balanced – ripe luscious soft black plums – great extract and density, just what I am looking for in a cool-climate syrah. Medium tannins. Long finish and mouthcoating. Top stuff. My drinking year is looking up. Villa Maria Keltern Vineyard HB Chardonnay 2011 – $$$ – drink 2014-2016. Latest in the lineage of a chardonnay I consider one of the most distinctive expressions of terroir in this country. Lots of funk on the nose. I can see in my mind’s eye the chickens lowing and the cattle cheeping in the barnyard on the floor of the forest. I wonder if it is reduction I smell? No matter. I really like the bouquet, it sticks to my glass, and adds interest to the tasting. This wine is not as powerful as the Elephant Hill Syrah from a couple of weeks back, but it is elegant. Same deep carmine colour and 13.5%. Dense red fruits, drying off, with typical white pepper. Fine tannins. Short finish. 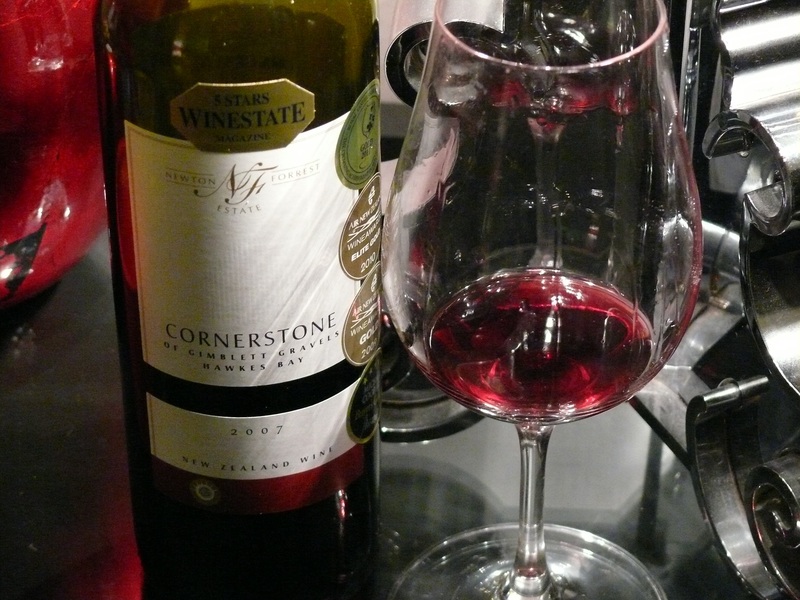 This wine was Regional Wines top syrah at a tasting back in 2010. 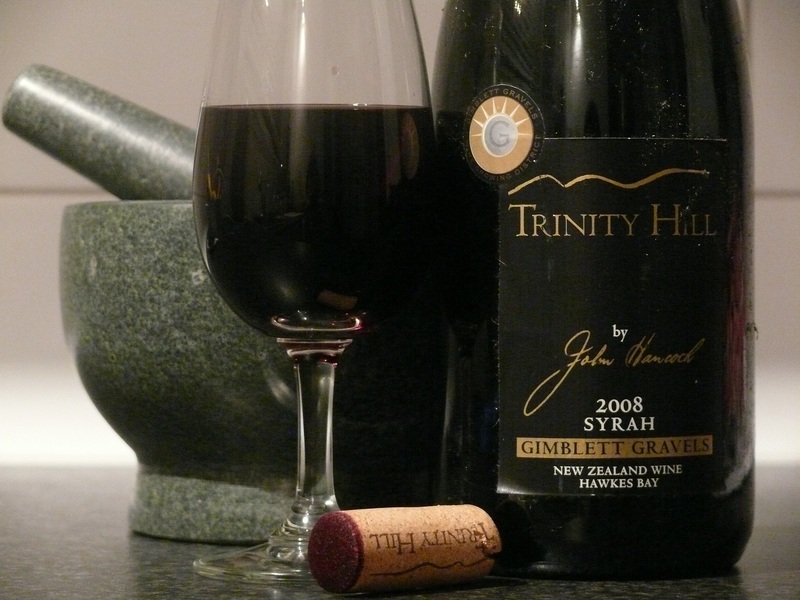 It is the stablemate of one of NZs two most notable ultra-premium syrahs, Trinity Hill Homage.